Happy Wedding Cake Wednesday! 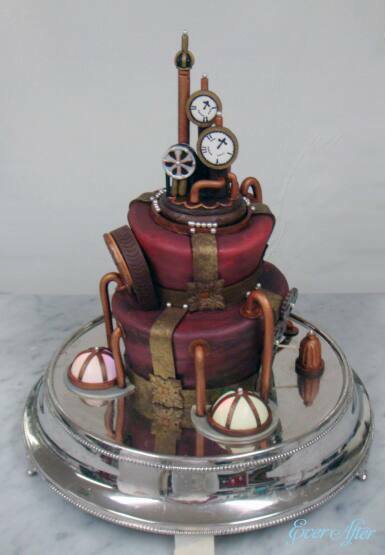 The steampunk trend couldn't be hotter right now, so I thought it was the perfect time to share this special cake. 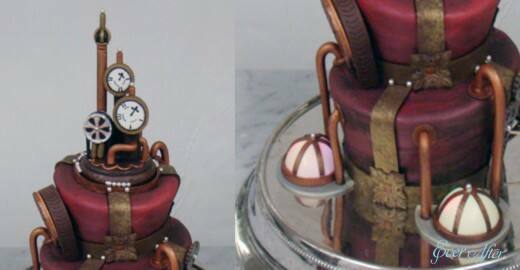 If you haven't seen this trend before think working gears, metallic colors and pocket watches with a Victorian England edge.